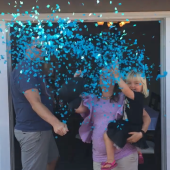 We are so excited to welcome Baby Boy Weber to our family! We cannot wait for you all to meet him! Thank you for celebrating with us and supporting us!